As the founder of the Oregon School..
As the founder of the Oregon School for the Deaf haunted house, the Nightmare Factory, allow me to thank you for your fast service, and great prices on the products we have ordered thus far. I have been more than please with everything, and have started recommending you to my fellow haunters. As a matter of fact as soon as I get a chance I'd like to put a link to your site on our web page. Once again, it has been a pleasure so far dealing with you, I look forward to a long relationship. 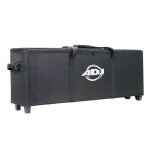 Protect your investment with DJ lighting carrying cases. If you're a Mobile DJ this is a must have. Arriba cases are well made and durable. 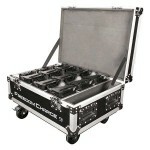 We have soft cases and hard cases to protect lighting from American DJ and Chauvet. 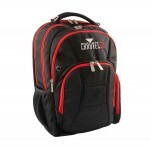 The CHS-BPK backpack easily transports a multitude of gear and laptops. 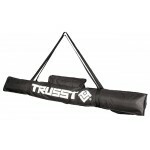 Plenty of compartmen..
• Durable, soft-sided bag designed to transport up to 4 Freedom™ Par Tri-6, Freedom™ Par Quad-4 o.. 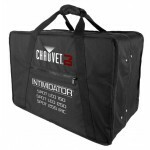 The CHAUVET DJ CHS-TR3 is a tough and durable bag to carry a tripod or crank stand. It allows you.. 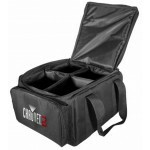 The CHS-X5X carry bag safely transports a pair of Intimidator Spot LED 150s, LED 250s or 255 IRCs..
Freedom Charge 9 is the perfect solution for safely transporting and charging your Freedom Par fi.. 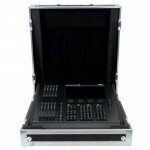 Exclusive Light weight touring road case custom fitted for the HedgeHog 4. This case features a.. Specifications: • Durable semi-hard case for transporting of lighting fixtures • Fits two (.. Specifications: • Durable semi-hard case for transporting of lighting fixtures • Fits four ..